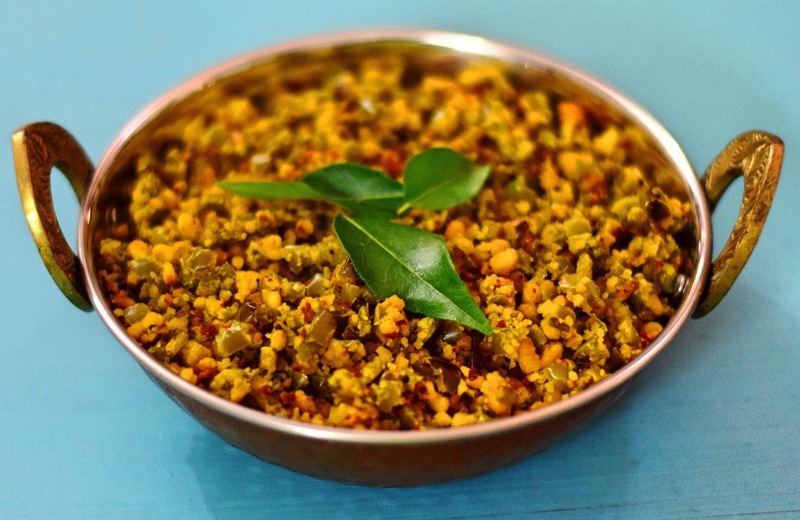 Paruppu Usili is one of the most popular and healthiest Tamil Brahmin dishes. 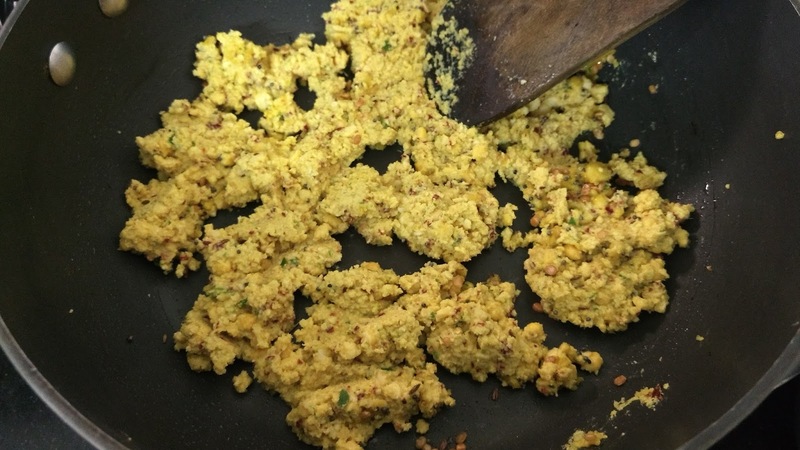 It is an ideal combination of protein and vegetables. 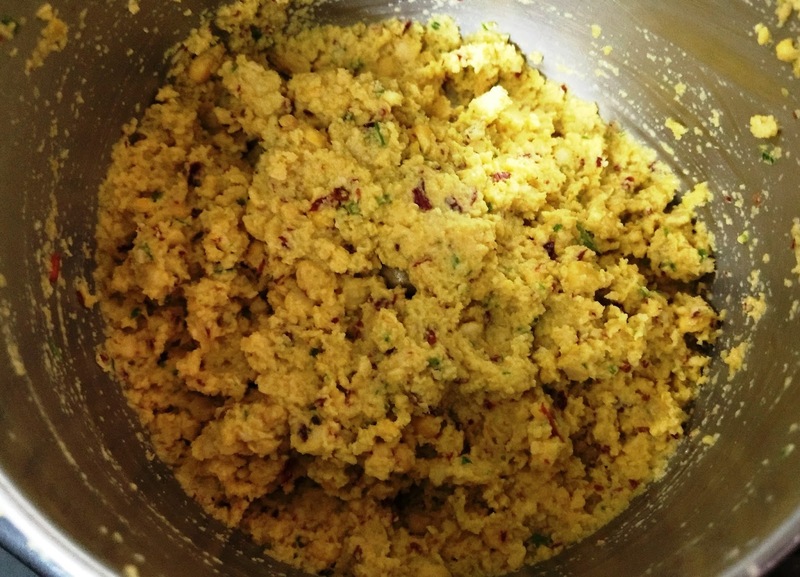 You can make this dish with French beans, carrot, beetroot, cluster beans, capsicum, banana flower. 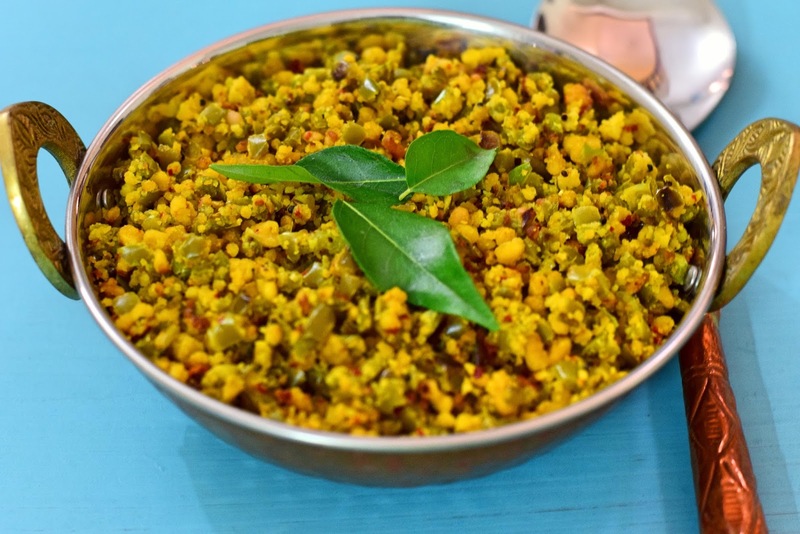 It is generally served with more kozhambu or vatha kozhambu. It also goes well with Rasam. 1) Soak channa dal in water for one hour. 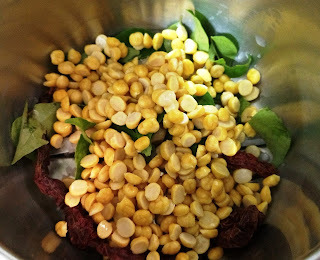 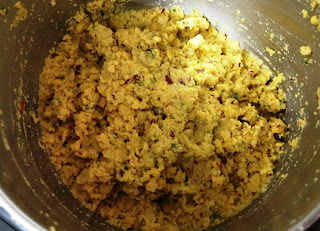 2) Drain water from Channa dal and grind it with salt, red chillies and curry leaves to a coarse paste. 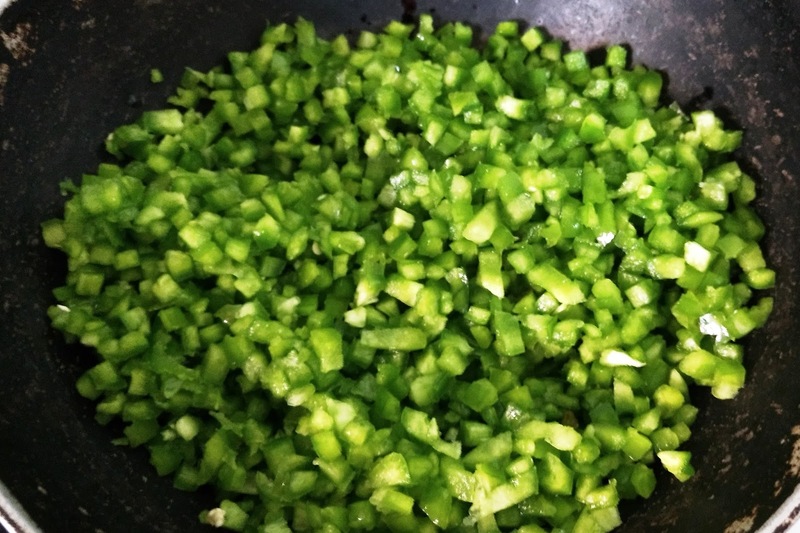 4) Saute till the mixture is well cooked. 5) Steam the chopped capsicum separately. 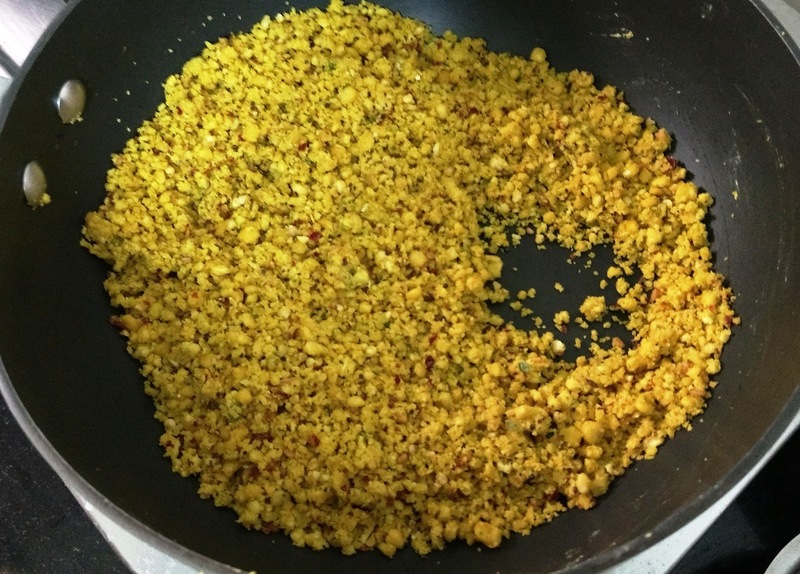 6) Heat oil, add ingredients for the tadka. 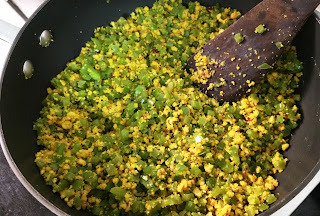 When the mustard seeds start spluttering, add the crumble and the capsicum. 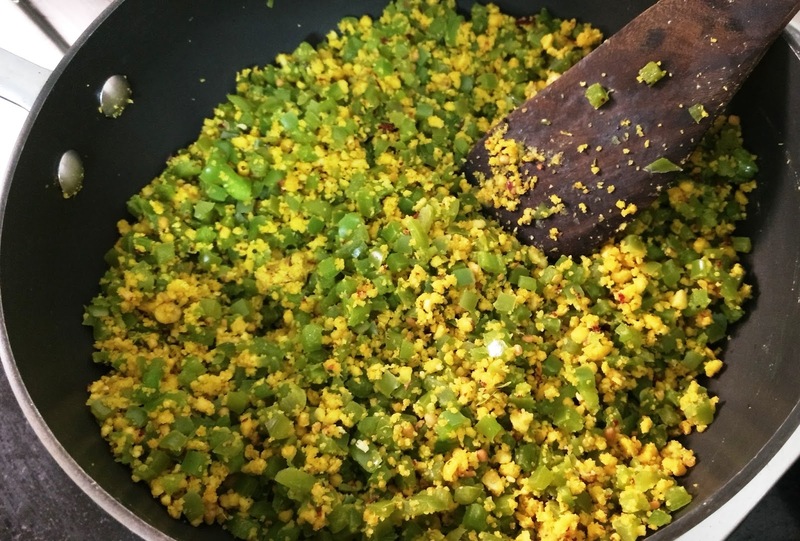 Mix well and serve. 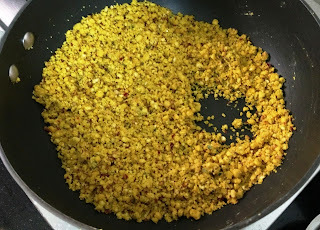 1) You can also make this with Toor dal only or a mixture of toor dal and channa dal. 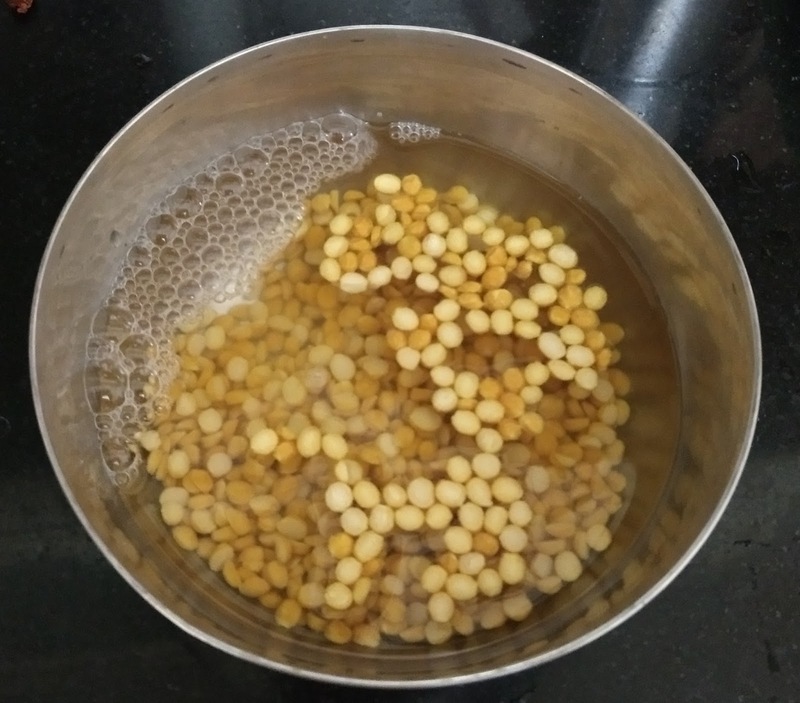 2) Do not soak the dal for more than one hour. We want a crumble and not soft dal. 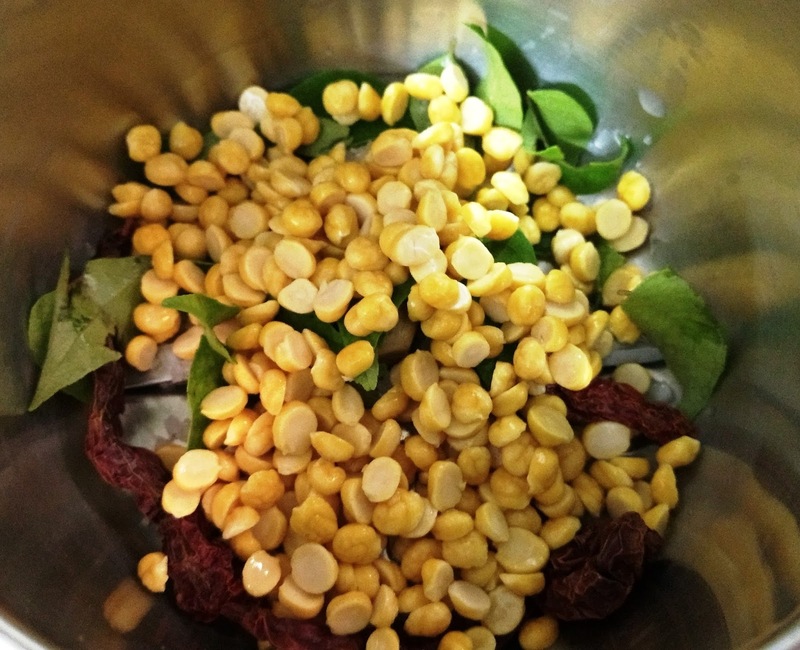 3) The ratio of vegetables to dal can modified to suit your palate.